I’m not even sure this technically qualifies as a recipe. Can a recipe be just one ingredient? It does require a couple of supplies though so I guess I’ll call it a “recipe”. Let’s live dangerously today! 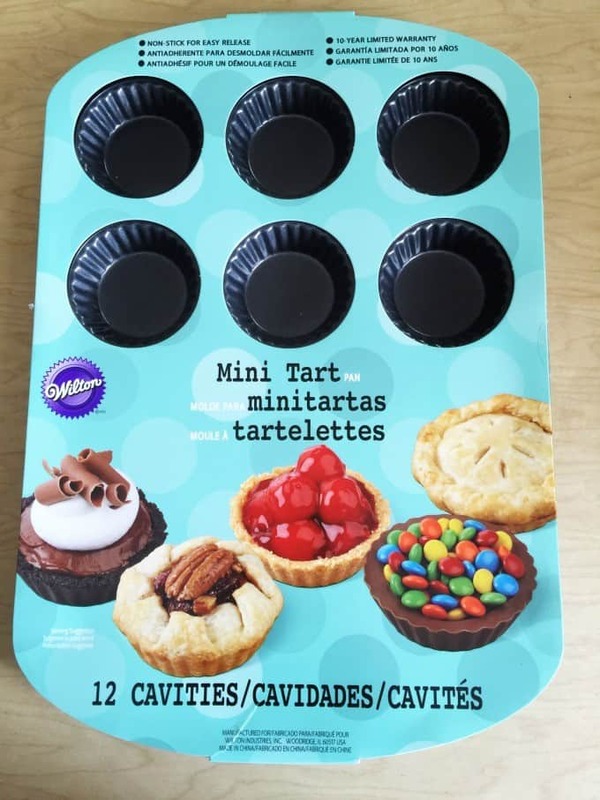 One of my recent purchases was this Wilton Mini Tart Pan. I thought it would be perfect for using up all the Pillsbury dough in my fridge. However, I discovered another use for it right on the packaging – candy cups made with Wilton Candy Melts. Michaels recently had a buy two get one free sale so I’m overflowing in a rainbow of colours. 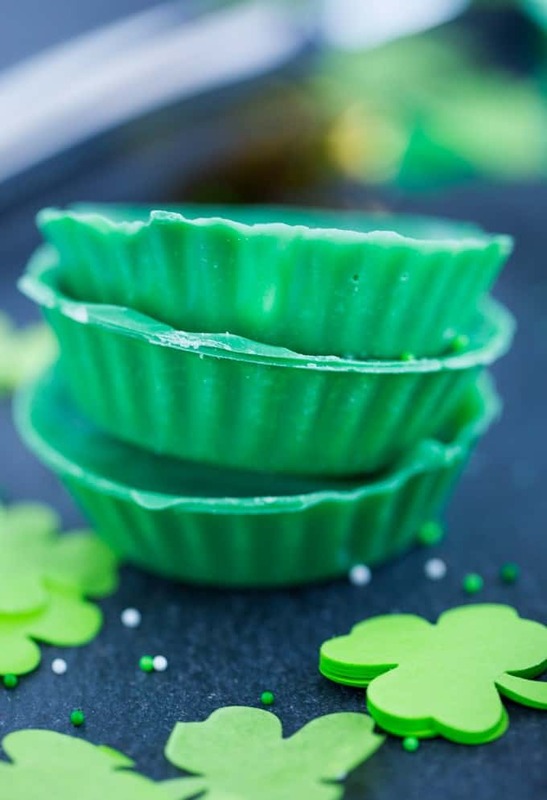 Since St. Patrick’s Day is the next holiday coming up, I made these fun St. Patrick’s Day Candy Cups with dark green Wilton Candy Melts. I prefer to use the microwave to melt them. Place them in a microwaveable bowl and cook for one minute at 50% power. Then cook for another 30 seconds at 50% power and check. Repeat at 30 second increments until they are melted. 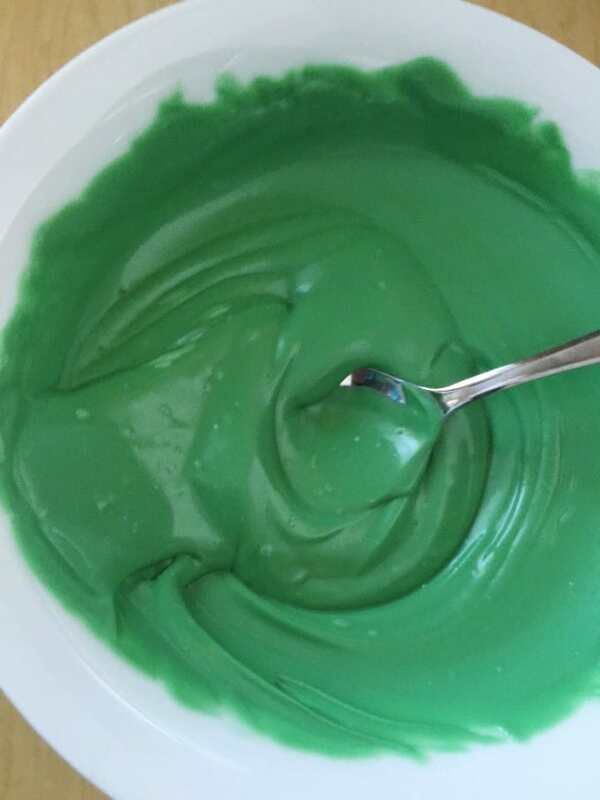 When you notice that they have softened up, stir them and they should melt completely in the bowl. Don’t overcook! Been there, done that and it’s not fun. Add a large spoonful of the melts to your tart pan. I used about half a bag of melts and it made six mini tarts. Using a brush, paint the melts to cover the tart. Go all the way up the side to the top. I left mine on the counter to set. After an hour, I checked them and they were hardened. I tried to pry them out and they wouldn’t budge. I ended up putting them in the freezer for five minutes to help loosen the mold. I turned it upside down and gave each tart a tap and they popped out. It’s fine to eat them as, but it’s more interesting to use them as little serving bowls. 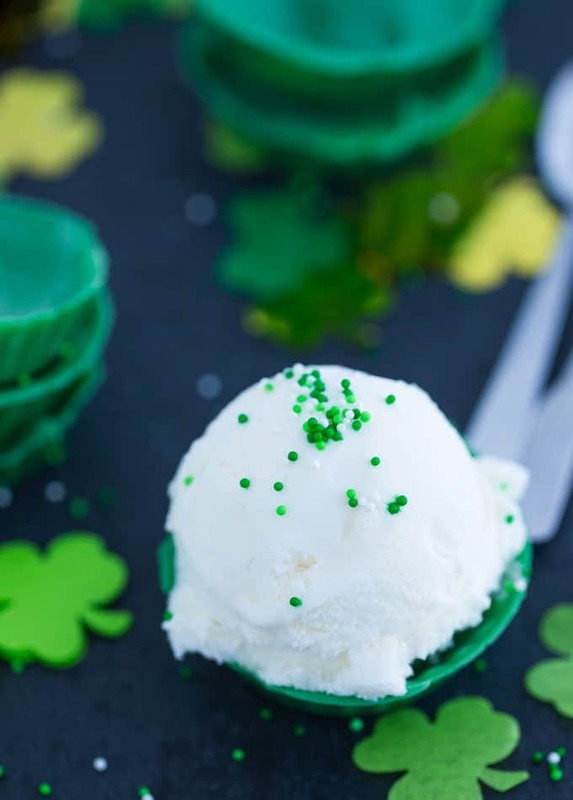 Add a scoop of ice cream and green and white sprinkles to create delicious St. Patrick’s Day Candy Cups. Really, you can fill them with whatever you want. Think gummy bears, puppy chow mix, popcorn or a cupcake. I think sweet would be best. Though if you want to try something savoury, go for it. 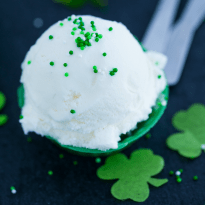 For more St. Patrick’s Day ideas, check out these 14 Traditional Irish Dishes, St. Patrick’s Day Glasses, St. Patrick’s Day Marshmallow Pops and Rainbow Bark. 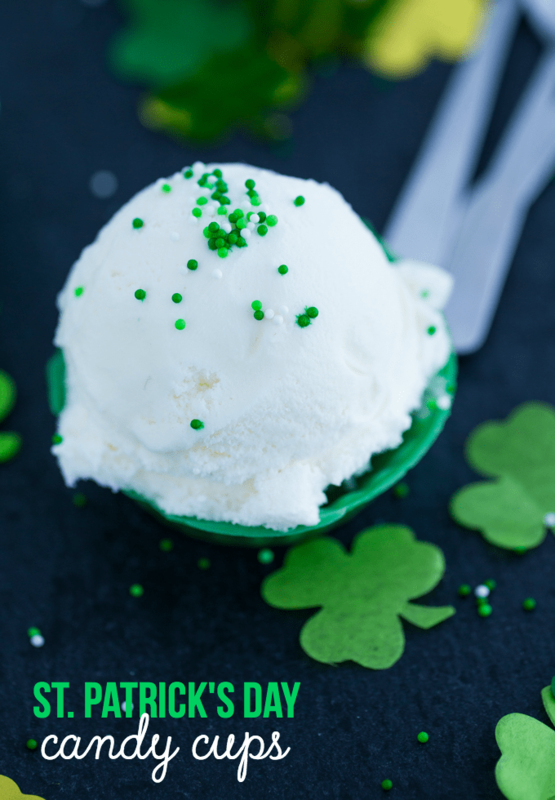 What is your favourite St. Patrick’s day treat? ONE ingredient! This recipe is super easy to make and fun to eat. 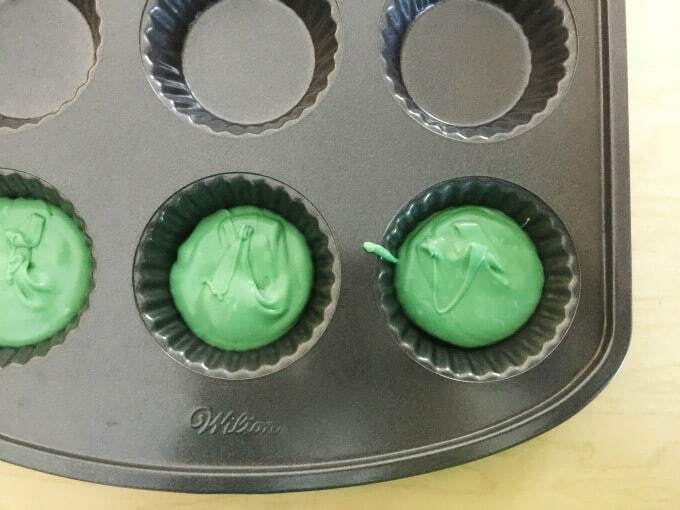 Add Wilton Candy Melts to a microwaveable bowl. Microwave for 1 minute at 50% power. Microwave an additional 30 seconds at 50% power. Stir. Continue to microwave at 30 second increments, 50% power, until melted. Be careful to not overcook as they will seize. 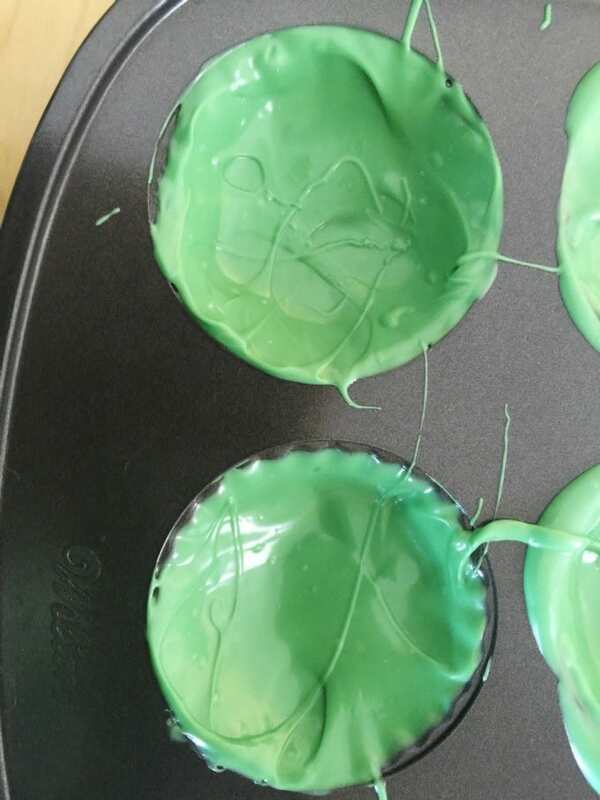 Add 1 to 2 teaspoons of the melted candy melts to each tart cup. Using a brush, spread the candy melt up the sides of the tart cup. Make sure the cavity is completely covered. Let firm for 30 minutes on the countertop. 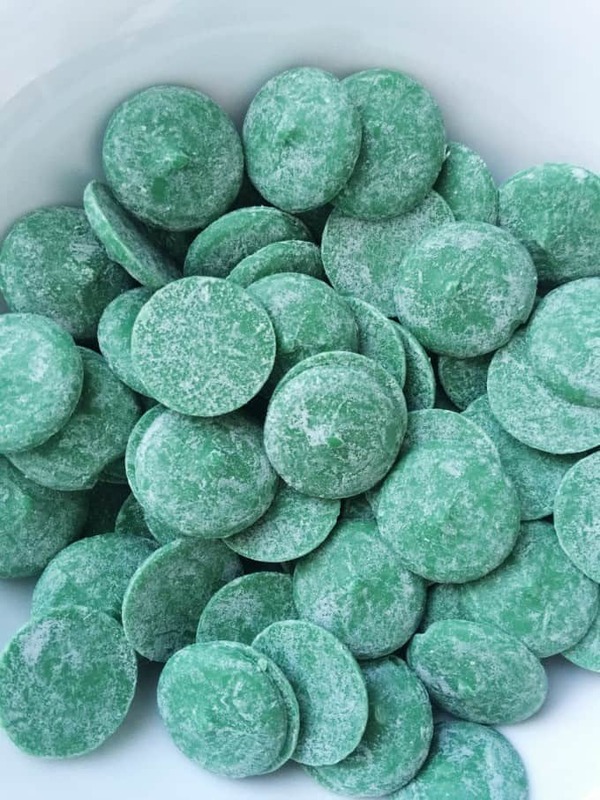 When you are ready to remove the candy cups, place in the freezer for 5 minutes. Then carefully remove candy cups from the tart pan. Serve with a scoop of vanilla ice cream and Wilton sprinkles. These cups are really adorable and good to make for St Patty’s Day! I love how cute they look and you sure are good at making desserts. The cups look gorgeous and extremely dellicious, I almost feel their smell ))) Thank you for the recipe, I will do them on this day! Such a cute idea. I should try that. They are adorable and so festive. What a fun idea! Plus there are so many possibilities!